Need new apps for your favorite device? 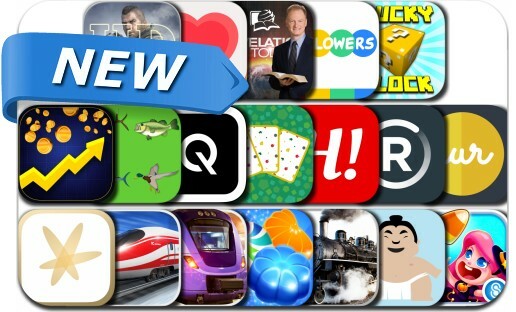 Here are 19 iPhone, iPad and iPod touch apps that just hit the App Store. This new apps alert includes Relay FM, Candy Blast Mania: Halloween, SPARK for stocks and trade ideas, Sumo Block: Block All Ads and Tracking, Browse Lightning Fast on Safari, Crafty Candy, Train Driver Journey 4, 8000 Likes for Instagram and many others. UCG - "Amiibo Cards Edition"